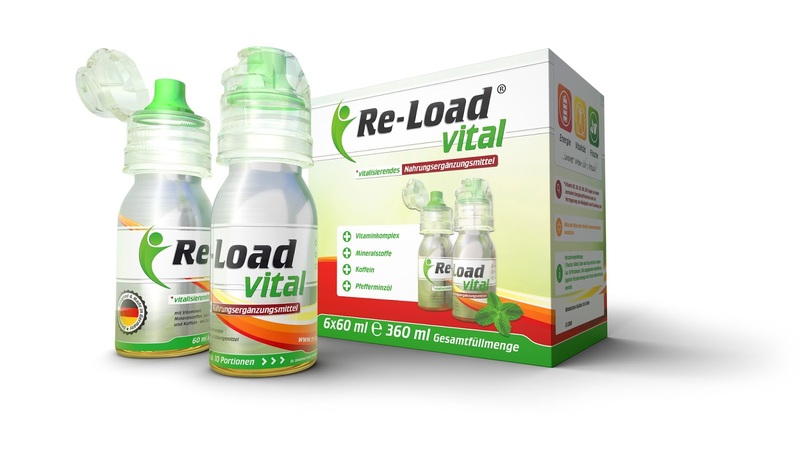 The application possibilities and consumption opportunities of Re-Load vital: Re-Load vital is an activating food supplement in liquid form. 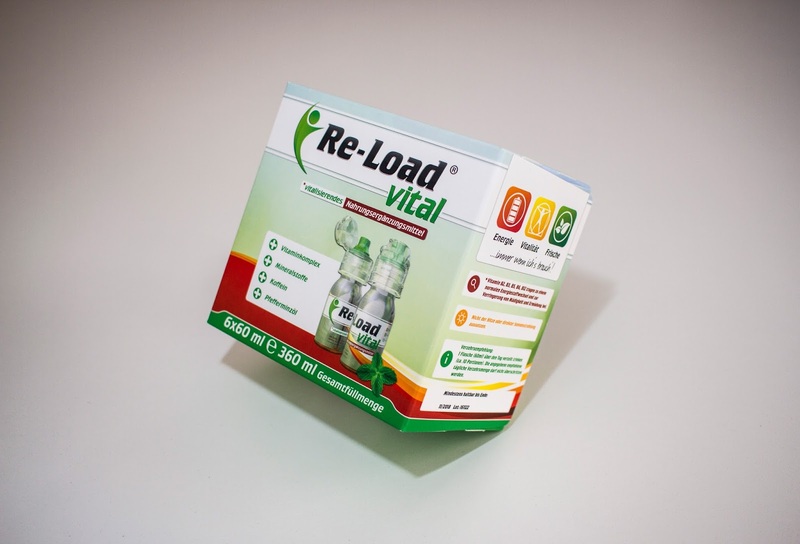 The choice of ingredients is specially designed for energy-yielding processes in the body (Production of ATP). 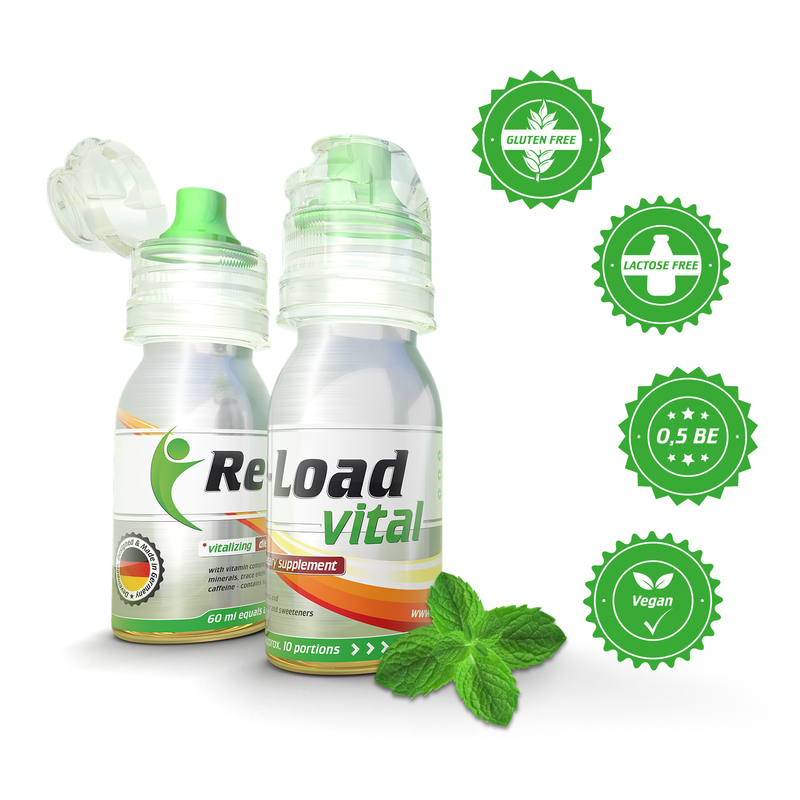 Re-Load vital stimulates the energy metabolism, due to the matching ingredients, and improves the concentration ability, vigilance and attentiveness, increases the speed of thinking processes and improves the long-term memory. In addition, the muscular performance is strengthened. 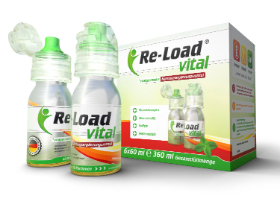 Re-Load vital helps people in different circumstances, professions and ages, to shape their own performance profile completely free: regardless of time and place, without the weight of beverage cans and without the dependency on business opening times. The handy mini bottle is perfect for on the go. Unique 6-pack with a wide range of print / production refinements. Very classy and progressive design for a pharmacy product. Colorful and attractive to customers. 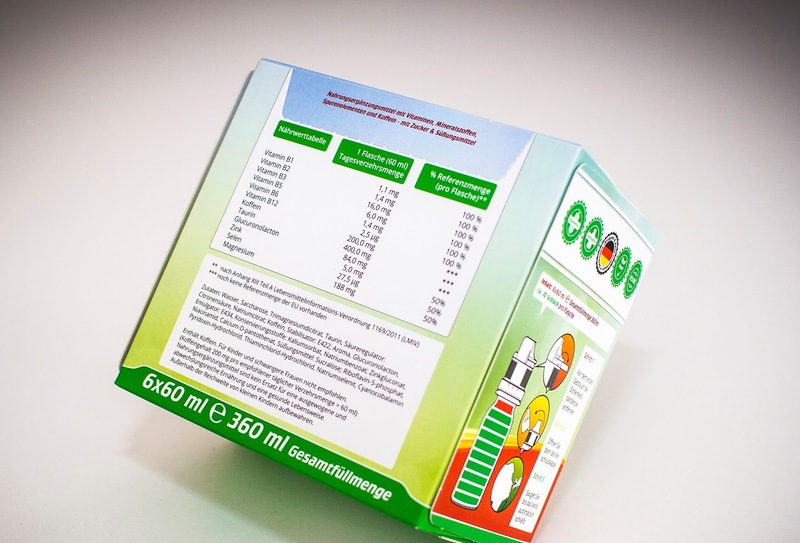 The packaging explains all product benefits ideally with many illustrations.